Several research studies have demonstrated coffee's remarkable benefits towards lowering the risk of cardiovascular disease, type 2 diabetes, and Parkinson's Disease, while several have associated high coffee consumption with an 8 to 15 percent decrease in risk of death, others have warned how coffee can be harmful towards your health. The World Health organization and the Dietary Guidelines Advisory Committee have changed their idea from coffee being detrimental to coffee being a health food, going so far as advocating the consumption of 3 to 5 cups every day for achieving overall health and wellness. Aside from avoiding any of the symptoms listed by the DSM-V, there are other reasons why you should decrease or stop your consumption of caffeine and prevent caffeine intoxication. Caffeine has also been reported to display adverse effects on individuals with hypertension, nervousness, adrenal fatigue, and GERD. Its intake can aggravate symptoms of circulation diseases like Raynaud's Phenomenon. 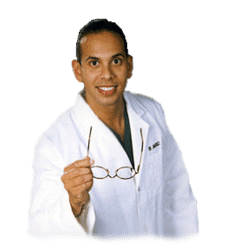 We also shouldn't ignore the fact that many healthcare professionals regularly indicate removing caffeine through a structured detox program to rest the liver. While the debate on whether coffee is good or bad for your health continues, an important thought to consider is that "one size does not fit all" when it comes to the consumption of caffeine. Personalized treatments have gained plenty of popularity because of this. While some individuals may get the jitters from drinking caffeine, not everybody will report experiencing the same symptoms needed to determine the diagnosis of an overdose. The main cause of this is simple, the liver's capacity to metabolize caffeine will often differ from person to person. Concentrations of CYP450 enzymes required for stage I liver detox causes some people to be "fast-clearers" of caffeine, or people who may have a double espresso and drift dreamily to bed within the hour, and lots of others may be slow-to-impossible clearers, or people who can be considered as no more than nervous wrecks when given the tiniest sip of hot chocolate. Alternatively, the effects of caffeine can be utilized to treat certain symptoms associated with headaches or asthma, and provide attention and focus, as well as energize the muscles of a training athlete. However, caffeine's addictive quality, and its capability to tax the liver and nervous system, shouldn't be ignored. When confronted with a reason to decrease or eliminate caffeine from their diet, conventional coffee lovers may be challenged by withdrawal symptoms, such as headache, agitation, muscle strain, and even anxiety, as well as altering psycho-social behaviours, such as a societal coffee-culture or an afternoon chocolate pick-me-up. Persistent caffeine consumption can also deplete calcium, leading to muscle tension and headaches. Restoring healthy magnesium levels will help alleviate these symptoms. In addition, L-theanine is considered to have a calming effect. One research study from 2012 revealed that L-theanine reduced stress and inhibited increases in blood pressure from participants who were confronted with stressful tasks on a computer. L-DOPA, or Dopamine, otherwise referred to as the "happy chemical", is accountable for controlling the joy and reward centers of the brain, the very same regions aroused by addictive substances like sugar and caffeine. A recent double blind, randomized controlled crossover trial compared the pharmaceutical levodopa used to treat Parkinson's sufferers to Mucuna pruriens, a natural supply of L-Dopa, and found them similar in clinical efficacy, with Mucuna pruriens being considered more tolerable. 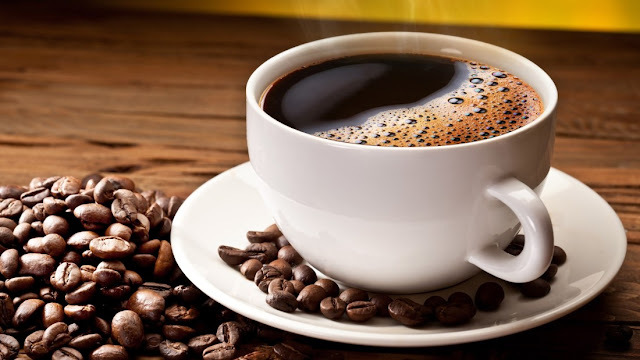 The advantages and disadvantages of drinking coffee have become highly dependent on the amount of evidence provided over the numerous of research studies conducted to solve the health mysteries of this popular dark beverage. While some studies describe coffee to be good for your health and others urge that coffee is bad for your health, the answer to this debate is simple, it's a little bit of both. Too much coffee can cause a variety of undesirable symptoms, however, a moderate amount of coffee can provide a wide array of benefits, including lowering the risk of developing many health issues like type 2 diabetes. Whether you choose to believe if coffee is good or bad for your health, alternative treatment options, such as chiropractic care, can help provide you with a variety of health benefits in order to help improve and maintain your overall well-being.